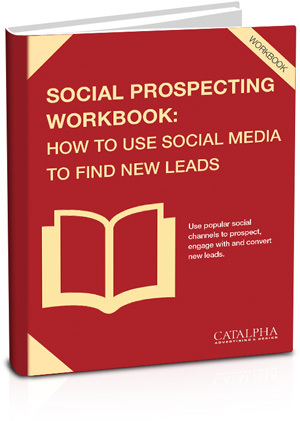 Download Catalpha's FREE Social Prospecting Workbook - How to Use Social Media to Find New Leads! Social media marketing is all about learning to engage people that may or may not know what your business can do for them. With this social prospecting workbook, you’ll learn the fundamentals of listening to social media conversations in order to generate new leads for your business.